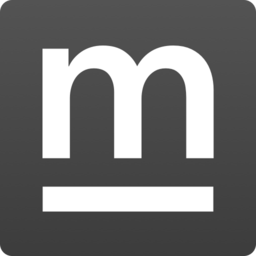 mininotes is a very small appilication I created because I wanted a simple note taking app that lived in the menubar. 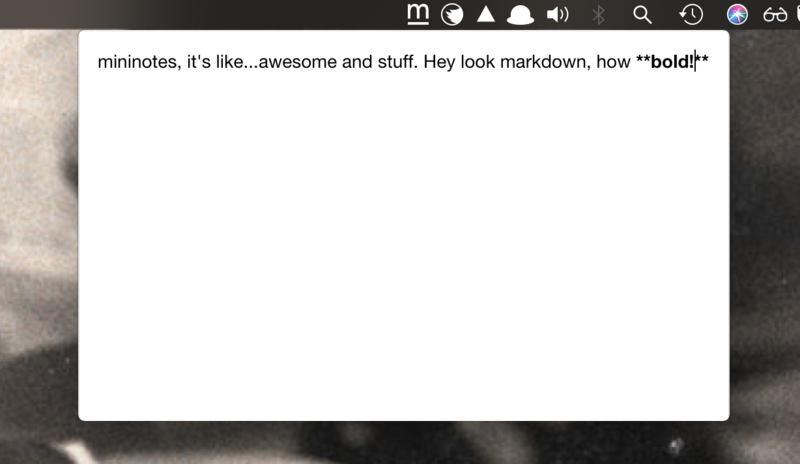 This is my first time using React with Electron and it’s been a challenge getitng it to work, but with the power of documentation and stackoverflow, as you can see I over came. Prior to creating this, I was using evernote’s app which was a lot of app just to use one small portion (and I had to make an account among other things, le sigh). I’ll be adding more to the application, mostly setting a global keybinding to invoke the app when it’s not the focus, and menu icon highlight when active.